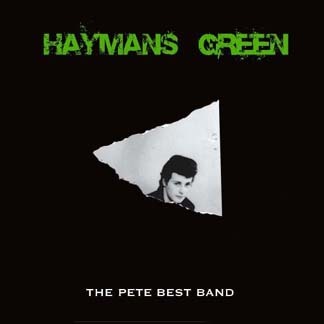 Pete Best, original drummer for The Beatles, contributed to write, arrange, and produce a stunning new solo album entitled Haymans Green honoring his childhood Liverpool home in West Derby. The Beatles debuted at the Casbah Coffee Club with Pete Best behind the skins on December 17, 1960. Haymans Green was recorded at the Casbah Coffee Club studio. Best and his touring band mates diligently conspired to apply themselves to record a professional studio album that would rehabilitate Pete's musical career and capture the attention of Fab fans the globe over. Supported by his younger brother Roag Best on drums and percussion, this is the most commercial solo Beatle album issued during the last decade. The Best brothers weave their dual drumming patterns so skillfully that the two perform seamlessly on the finished product. One of the discernible strengths of the PBB is their harmonizing. Lead guitarist Phil Melia, bassist Paul Parry, and rhythm guitarist Tony Flynn are the trio of musicians who labored to realize this studio project properly. Give this disc a spin and listen with headphones. The PBB music is undeniably impressive. Best was infamously dismissed without expressed cause in August 1962, just as the Fabs were signed to Parlophone Records by producer George Martin. Now 46 years later, Pete Best is ready to share his own side of the story courtesy of Lightyear Entertainment. The PBB open the disc with this engaging harmony that beckons their friends and fans to join the lads for a spell at the Casbah Coffee Club in this Harrison-influenced track that recalls mild Sgt. Pepper sensibilities. The number is anchored by subtle percussion and a kaleidoscope of aural vibrations. Selected as the premiere single from the new PBB album for the U.S. market, the structure of the song bounces off "Free As A Bird". Paul Parry sings lead vocals with an introspective lyric coasting over a martial beat. The intense production recalls similar musical expressions rendered by XTC. Phil Melia sings lead vocals on this energetic rocker reminiscent of Dave Davies and the joy of pop wonderment. The strong backing harmony vocals make this a rival that could have been chosen as a possible lead single. Pete indeed keeps the rhythm going in this fun burst of memories from his tenure as a Beatle in Hamburg. Tony Flynn should be proud of the melodic vocal he sings on this anthemic power ballad that takes fans of all ages back to the glorious Mersey Beat era. An album standout track that expands upon its rich chorus, the heartfelt lyrics and wonderful harmonies generate waves of infectious tones. Tony almost reminds the listener of Davy Jones. Handling lead vocals, Paul Parry triumphs in this McCartney-influenced pop powerhouse. A catchy guitar line mirrors that of "And Your Bird Can Sing". The layered harmony chorus vocals are a fine example of the PBB's ability to fashion a tasteful sprint through positive chords. Another lyric about Beatle shenanigans in the red light district. This wispy rock ballad showcases a lush vocal from Paul Parry. Another supreme track that defines the unique sound of the PBB, this song writing team proves it has a knack to produce stellar material. The listener finds Pete in a personal moment thinking about being at home in Hayman's Green. This song conjures musical memories from either Rubber Soul or Revolver again featuring Paul Parry on lead vocals. The organ foundation in the arrangement reflects a Lennonesque feel conveying Pete's comfortability with himself and his loving family. The swinging Mersey Beat of the 60s comes alive briefly for two perspiring minutes in this delightful kinetic instrumental. Although the bass guitar lines could have been lifted up out of the mix and brought to the fore a bit more, this cool ditty demonstrates the PBB can punch out a danceable tune. Tony Flynn opens this pop ballad trading off stanzas with Paul Parry . The haunting harmony offers a glimpse into the melancholy of loss that Pete experienced and his determination to defeat the adversity that impacted his young career and the heartache he eventually overcame. This spirited melody tells a tale of Betina sporting a red dress from the Reeperbahn District of Hamburg. Hinting at both "Taxman" and "She's A Woman", Paul Parry's vocals and bass playing ignite this enchanting rocker. Breaching the four minute mark, this song spotlights the sharp tunesmith craft of the lads. The simple harmonies soar and swirl in the background. Closing the disc is the title track with Paul Parry at the helm on vocals. This choice number might be able to pass as a Magical Mystery Tour outtake. The lyrics focus on Pete at home in his youth and the idyllic memories of better days in West Derby. Convincingly, the Pete Best Band have released a tour de force as their debut album. The biographical themes expressed in the lyrics of these eleven songs constitute the culmination of a lifelong ambition for Pete Best to issue his own album of original compositions. Critics and blind defenders of the Beatles legacy might grouse that the PBB pinch too heavily from the Fabs distinct sound, but Pete has a shared history that should not be ignored nor denied. Pete Best has delivered a fantastic studio effort that will assuredly survive the test of time after the initial Fab fans have all passed. Comparing this disc to solo Beatles albums or British Invasion contemporaries would be a sincere disservice to the Pete Best Band. In choosing to record material that echoes the magic of the Fabs, the lads challenged themselves to deliver a thoroughly top notch album. 2008 celebrates the twentieth anniversary of the Pete Best Band. Admittedly, Pete did not anticipate launching an on going concern when he agreed to perform live in Liverpool during Fall 1988. Best finally received credit for recording as a Beatle on the first Anthology volume. Best along with his two brothers authored and published The Beatles: The True Beginnings in 2003. Best of the Beatles was issued on DVD by Lightyear in 2005. Now Haymans Green as a successful recording completes the Best media presentation. Future generations will have an opportunity to listen and learn about Beatle Pete Best.